Presented by Pebble Pushers at the Hickory American Legion Fairgrounds. Proceeds benefit the Levine Children’s Hospital. 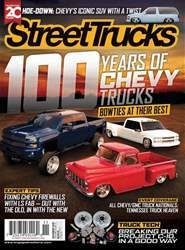 Top 50 and specialty awards in tons of classes, not to mention vehicle limbo, a dragging contest and coverage by StreetTrucks. For more info, visit Pebblepushers.com.